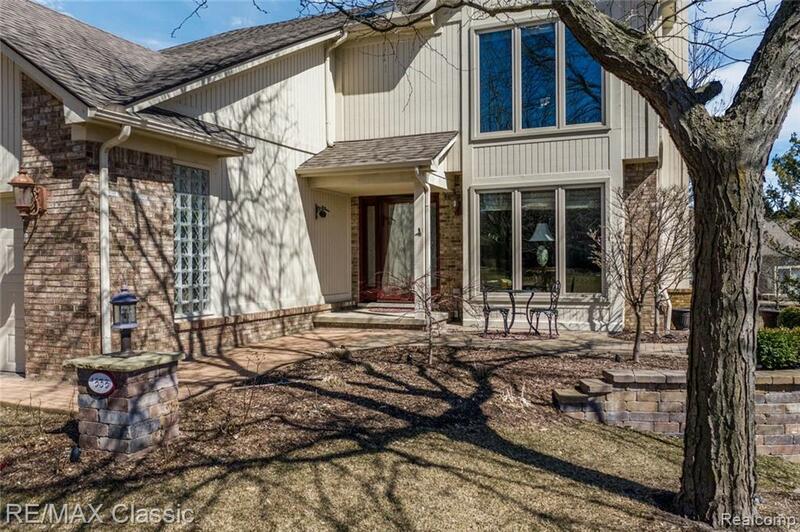 WONDERFULLY MAINTAINED 4 bedroom, 3 bath home on treed lot w lots of nat light. 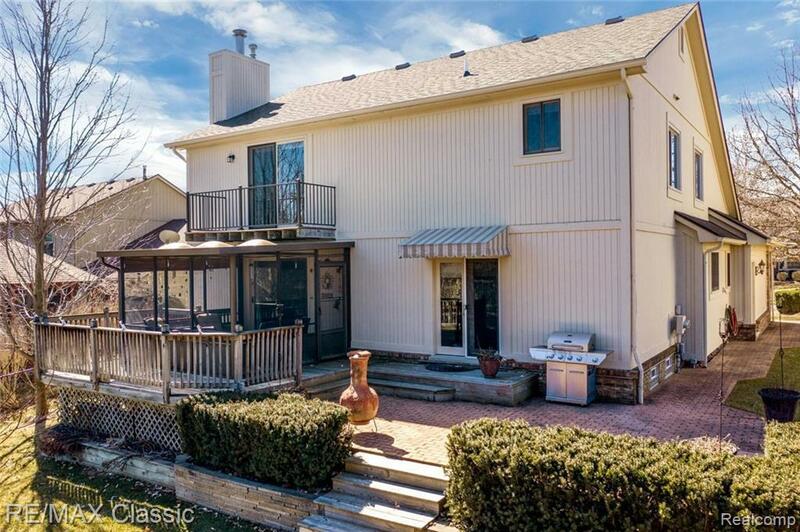 As you arrive, youll be drawn in by professionally landscaped grounds, brick paver patio, walkway around the house. 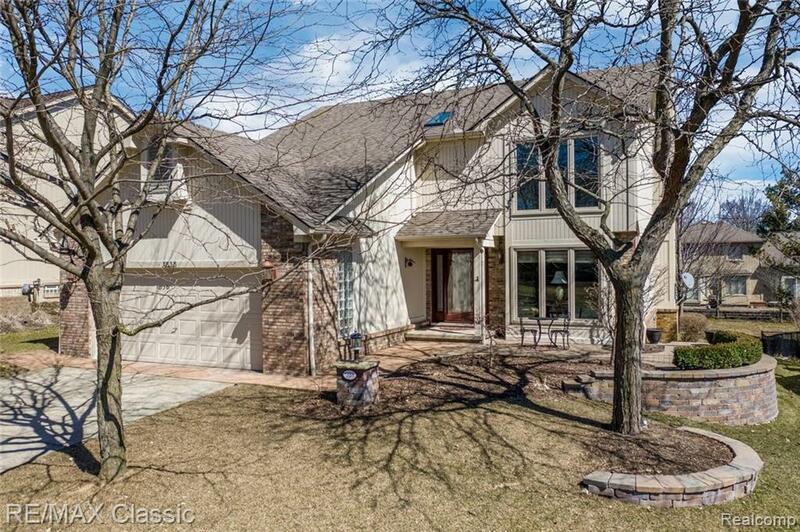 Enter thru beautiful stained glass entry door, private lib/study w builts ins, spacious kitchen w granite/mostly stainless appliances, loads of cabinets. 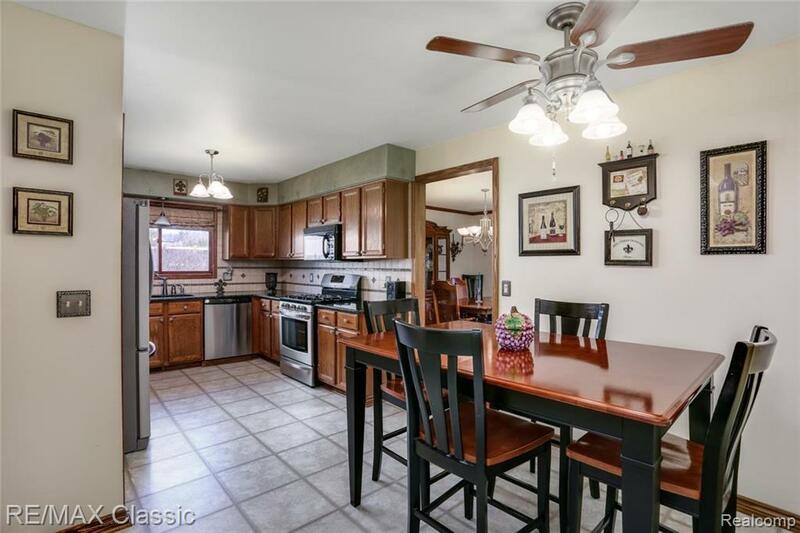 Dining room w crown molding/cherry wood flooring w doorwall to deck. Enjoy the open space in liv room w gas fp & doorwall leading to 3 seasons screened in sunroom w skylights for outdoor relaxation. Lg bedrooms, all w closet organizers, ceiling fans. Spacious master br, vaulted ceiling, doorwall to deck, master bath, walkin closet. Lower level totally fin w spacious family room, gas fp. Also inc spectacular stone/granite bar, great for ent. Full bathroom, additional recreation/workout area downstairs. Storage/closets galore. 1st floor laundry, large 2+ car garage. NEW CARPETING, NEWER ROOF, LIGHT FIXTURES, WINDOWS, UPDATED BATHS.